ACTIVE government to government and private sector support are key to helping small and medium enterprises (SMEs) in the Philippines break successfully into the burgeoning global halal market, according to a Malaysian transport executive. “It has to be a government-to-government effort but there must be a private sector that creates the value chain… so that people can see that it is possible” for SMEs to participate in the global halal trade,” said Dato’ Azman Shah Mohd Yusof on the sidelines of a recent shipping conference held in Makati City. Azman is the chief executive officer of Northport (Malaysia) Bhd, operator of Northport multi-purpose port in Port Klang, Malaysia’s largest port. He noted that SMEs undoubtedly face many difficulties, including high logistics costs, dominance of the “big guys” and lack of competitive pricing due to the stringent processes and requirements of halal production. But through strategic partnerships, Azman said barriers to halal trade participation can be reduced. “We’ve reached out to a few players in the Philippines and I’m sure with the help of the government we can actually make this happen because our minister of entrepreneur development in charge of SMEs is championing this himself,” he said. “You got to start somewhere because the demand is there. The players are there, so it is a question of cooperation,” he added. In his presentation on Wednesday, Feb 20, during the 10th Philippine Ports and Shipping Conference, Azman revealed that Malaysia signed on Feb. 19 a memorandum of understanding (MOU) with Japan to partner for halal trade development under the Halal Silk Route. The Halal Silk Route is a Malaysian initiative touted as the missing link that will complete the halal trade value chain globally. The MOU with Japan comes nearly a year after Malaysia signed an MOU with China under the same initiative. 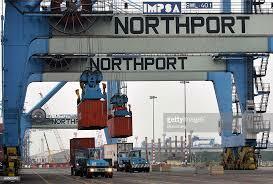 In May last year, Malaysia’s Northport and Weifang Port in China signed a deal to cooperate in port management and facilitate halal trade shipment between the two countries. The MOU provides for end-to-end export services that enable Malaysian exporters to deal with just a single one-stop center, which will handle haulage, pre-clearance of documentation, shipping, container handling, product labelling, warehousing and product delivery to customers in Weifang, China. Customers are promised port-to-port delivery in 28 days, with goods shipped from Northport to Weifang Port, which is one of the most direct routes to the Muslim-dominated Chinese regions of Shaanxi, Ningxia, Qinghai, Gansu and Xinjiang. Statistics show that Muslims accounted for some 23 percent of the total population worldwide in 2010, and are the only major religious group projected to have a faster growth rate than that of the global population as a whole. As a result, there is a growing market for halal products. In 2016, the global market value of halal products amounted to about $45.3 billion and is expected to reach $58.3 billion in 2020.